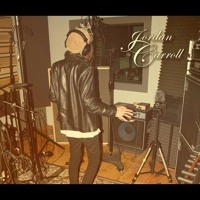 Acoustic singer/songwriter Jordan Carroll grew up with music. Often compared to the musical styling’s of Ryan Adams, he blends his own version of acoustic rock with a bluesy, alt-country influence. Honest and raw, you can hear and feel every emotion as it pours from each word and key. The Phoenix native began his music career in 2009, setting out on his first US tour while simultaneously writing his debut EP, Meet Me in the Sun, in 2011. After a move to Los Angeles and a follow up tour across Europe, he's now working on new material which he is anxious to share mid-2014. So meet the man behind the heartfelt music, and listen to some Jordan Carroll originals mixed with classic rock and roll covers below. Marisa: How did your musical journey begin? When did you first learn to play guitar and piano? Jordan: My musical journey actually began when I was a young gun. My mother says I would stand on my bed and sing along to songs in my room, staring into the camera. Some years later I was FORCED to take piano lessons, which I absolutely hated. I really wanted to play guitar, so I put the piano aside and picked up the guitar and started teaching myself. I first learned to play in my room, where I sat alone most of [the] time, using the internet to teach me some simple chords. I took those chords and wrote a song in every variation of those 5 or 6 chords. Ever since that day I've been writing and singing as much as I can and now I have went back to the piano again, wishing I didn't leave it behind in the beginning. M: Who have been some of your biggest inspirations and how have they personally influenced your music? J: Some of my biggest influences throughout playing music have been a lot of old blues players, lots of Rock N Roll legends as well as some simple acoustic singer songwriters. John Mayer, I really enjoy his work and how he sees things, he helps open my eyes on my own music. Those 1960’s blues guys like Son House, Sonny Boy Williamson, have Howlin Wolf, [they] are the ones who brought most of our music to us. They influenced me greatly with their honest words and the feelings they deliver within each song. I have been a big fan of The Doors since I can remember, providing a free, fearless, wild side, they have always kept me dreaming of going far with my music. I’m not sure what it is exactly, but they always seem to inspire me with the work they have done. 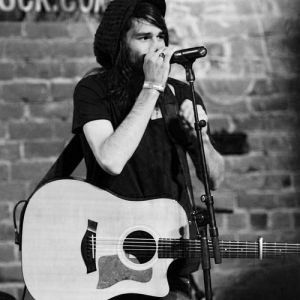 M: Your 2011 EP Meet Me in the Sun was written across different cities and states while you were on your first US tour. Do any specific songs or cities from that tour stand out in your memory or have a deeper meaning? J: In a way, yes. I remember writing songs for that EP in hotels and on the road; those long drives, late nights and first few really exciting shows. I was touring without a record, I just wanted to know what it was like, to know how it feels to be on the road and live life like that. I really enjoyed it and it’s always been a part of me to keep doing that as long as I live. So, while I was on that tour I knew I had to get some songs together so I could record and release something when I got home. I had written about 15 or so songs along that journey and I only wanted to pick 5 to lay down in the studio. I took the songs that meant the most to me, had the deepest feeling in my heart, and put them together. M: You also played a European tour including stops in Spain, Germany, London, Switzerland, and The Netherlands. What was it like to play overseas and do you prefer to play shows internationally or closer to home? J: Playing overseas was something else. It’s like a different world over there, at least to me. I absolutely love the people there and the music they play as well. That is a hard question for me, I really like playing here in the states, but at the same time, the idea of playing overseas just makes me feel good. I would have to say I like playing internationally or farther away from home. Something about being father away makes me more comfortable when I’m on stage. M: Do you have a favorite song to play live? J: Absolutely, I have a few. But as of right now, I would have to say my favorite to play is a new song. It has no name yet, it’s very slow, quite and loud, very touching and very emotional. It makes everyone who’s in the room quite as can be. I like it. M: What experience has music brought into your life that you might not have experienced otherwise? J: That is a good question, music has brought me to experience traveling the world, meeting new people, learning new cultures, expressing myself and learning about myself. Music has brought most of my experiences in my life. And I hope it brings many more. M: If you could team up for a collaboration with anybody right now, who would it be and why? J: I would love to team up and write a song or two with James Douglas Morrison of The Doors. His free, wild, fearless soul would be quite a night to experience writing with. M: What’s the best musical advice you were ever given? "Aye, just keep doin what you’re doin, look how far you’ve gotten already." M: You're stranded on a deserted island and there’s only one song on your iPod to be replayed for all eternity, what would you want it to be? J: That would probably have to be "Everyday I Have the Blues" by the one and only BB King. That song would make the rest of my day’s just great haha. M: Tell us one random fact about you your fans don’t already know. J: I was born on Valentines Day. M: What are you most looking forward to in 2014? M: Thanks so much for chatting with me Jordan, it's been a pleasure! Is there anything else you’d like to share with our readers? J: Nothing too much, I hope you guys enjoyed my interview and I hope you enjoy my music. Be on the lookout for some new stuff mid 2014!!! Check out Jordan's website for updates, news and more great music to come! He already has some tour dates lined up, so click here to see when he will be in your area.